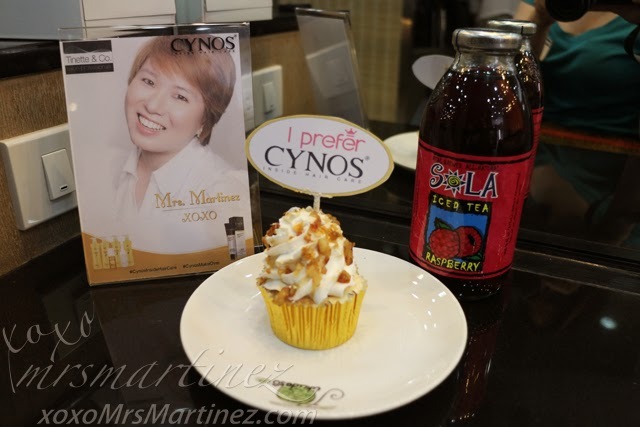 A handful of bloggers and traditional media were invited last week to try out Cynos Permanent Color, Revive Plus Keratin Treatment and CND Shellac nail polish at Tinette & Co. 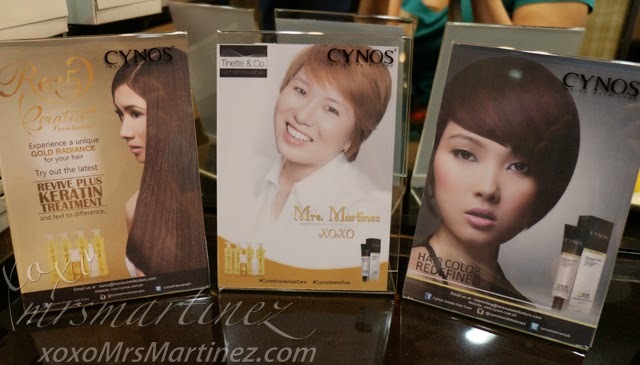 Salon Professionals located in San Antonio Plaza, Forbes Park Village, Makati City. 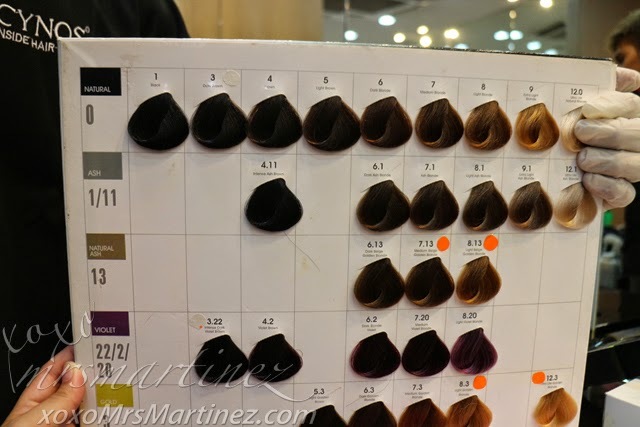 A low-ammonia, unique color-fixing and gentle conditioning formula that provides hair with rich, shiny and long lasting intense color results. 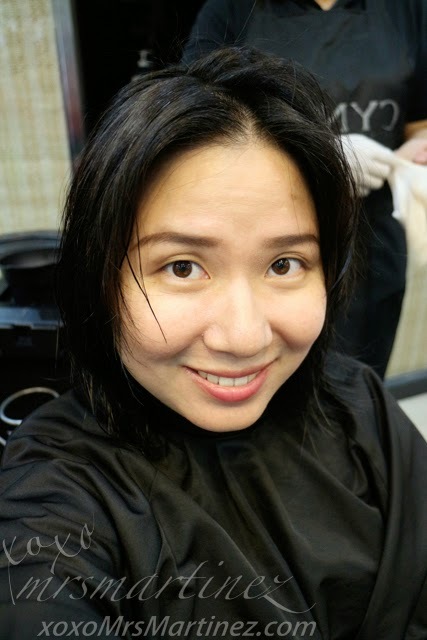 My request to the hair colorist was to have my original hair color back and to cover up the bleached part of my hair. 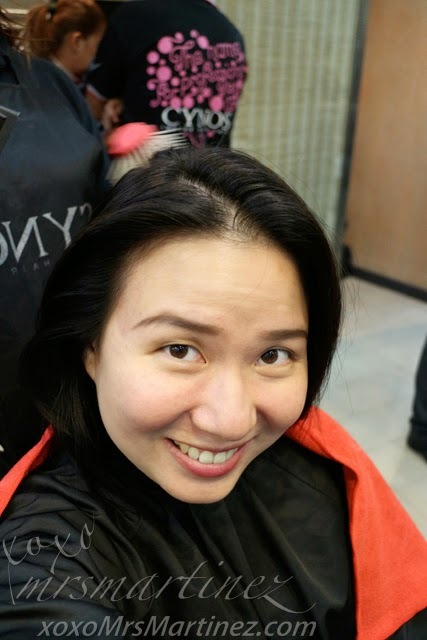 She explained that to cover the bleached part, the color that will be applied should be darker than my original hair color. I agreed because I really, really wanted to remove it. 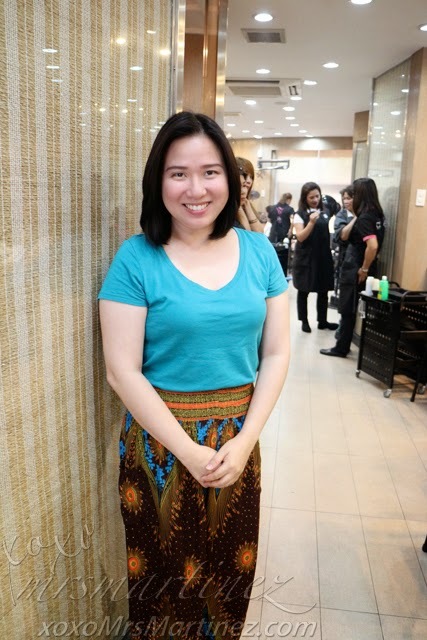 here's my before photo with Lynne M. Ona- Marketing Manager New Summit Colors Dist. 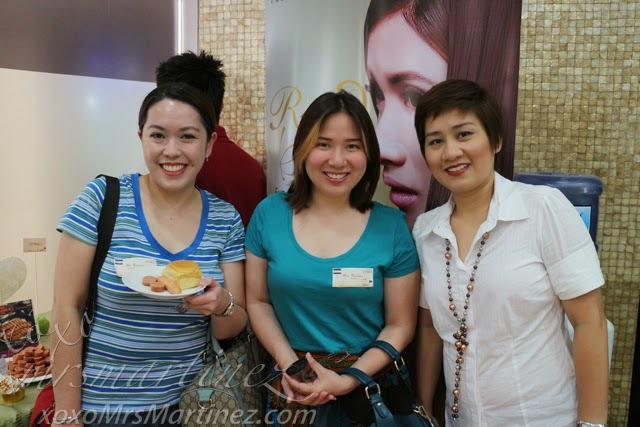 Inc.
Lynne greeted Rowena and I as we stepped into Tinette & Co. salon. A spread of Kaiser Deli was prepared for this event. Incidentally, Kaiser Deli is made by King Sue Ham & Sausage Co., Inc. I love Kielbasa because it is spicy! 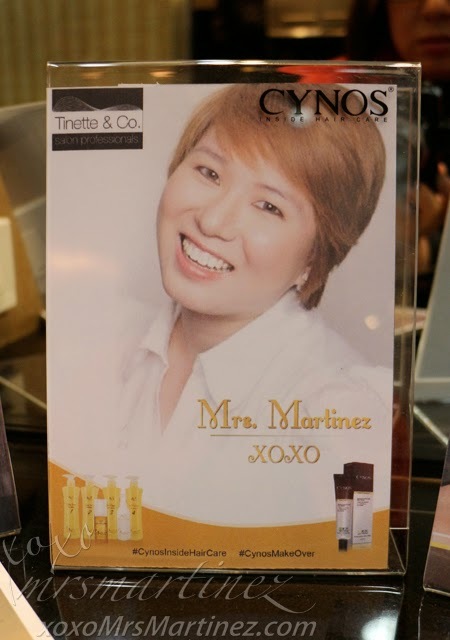 Cynos and Tinette & Co went all out in welcoming their guests like this personalized photo in my station, it makes me feel special. 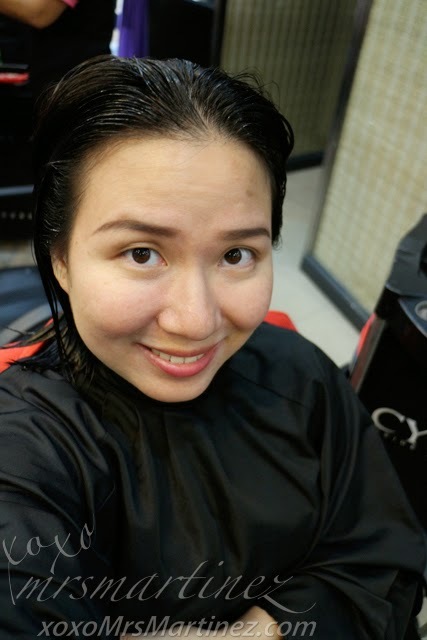 This is not my first time to visit Tinette & Co salon. 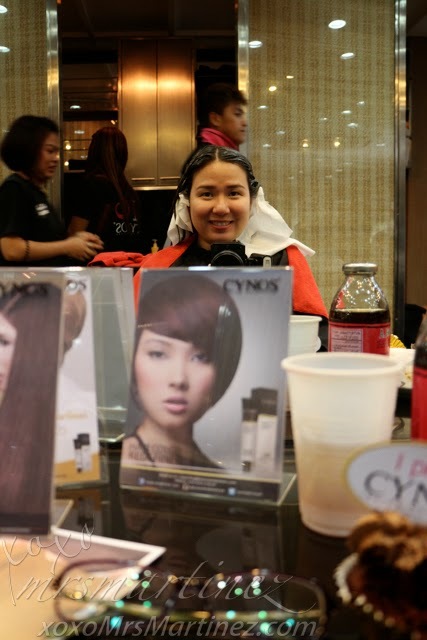 Over a year ago, I already visited its BGC branch where I had hair cut, hair color (using Cynos, of course!) and foot spa. Days after, I attended a Dove event where all attendees were asked to have an impromptu shoot by professional photographers. It was Pilar Tuason who took the photo above. It was seen on Dove billboard along EDSA. 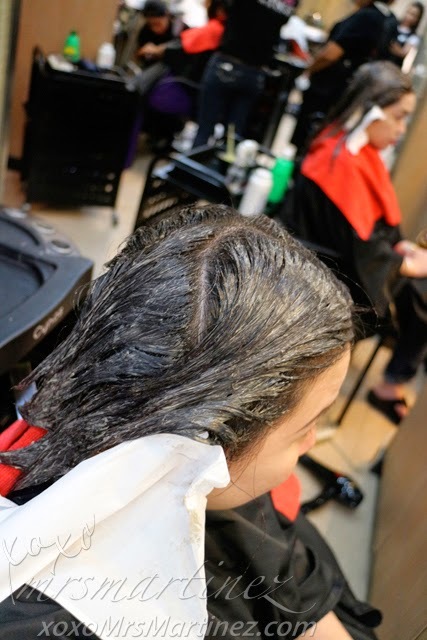 Revive Plus Keratin Treatment is a quick and easy solution that promises long-lasting hair result. Its rich Keratin formula Rebuilds, Restores and Rejuvenates hair leaving it shiny and silk-to-touch! It is recommended for all types of hair. It is also known as Brazilian Keratin Treatment. 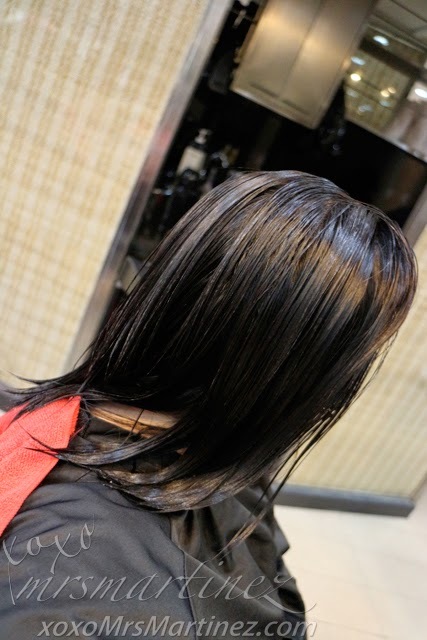 Purifying Shampoo Pre-Treatment was used to wash my hair and then followed by Keratin Treatment Hair Reconstructor. Purifying Shampoo Pre-treatment is a unique formula that deeply cleanses and clarifies residues and build up on hair. It opens hair cuticle allowing Keratin to work deeply on hair. 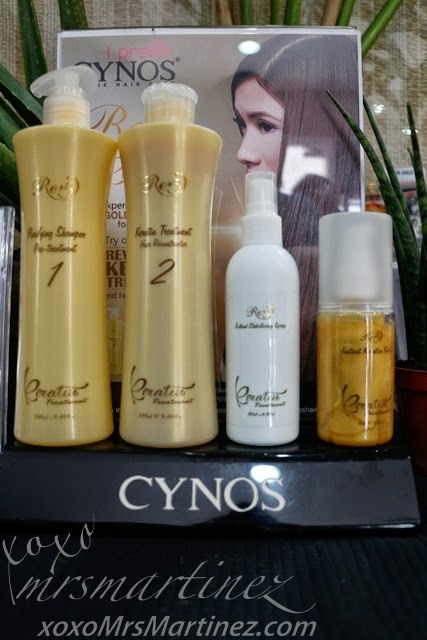 Keratin Treatment Hair Reconstructor, on the other hand, is an innovative reconstructor and volume reducing treatment that eliminates unruly and frizzy hair. It gently and completely coats hair with essential Keratins that helps rejuvenate hair structure and delivers vibrant shines and softness. CND Shellac is The Original Power Polish. It is a breakthrough, patent-pending UV3 technology that combines the ease of polish with the permanence of gels. No other products in the market can stand up to the claim- on like polish, wears like a gel, off in minutes. It is free from Formaldehyde, Toluene and Dibutyl Phthalate (DBP). CND Solar Oil was applied to keep my nails and cuticles healthy and help reduce visible signs of dryness. After 25 days of wearing CND Shellac on my toenails, I paid PhP 200 to have it removed at a nearby salon and I was impressed, no yellow colored nails!!! Stimulates inner hair and protects from Keratin loss. 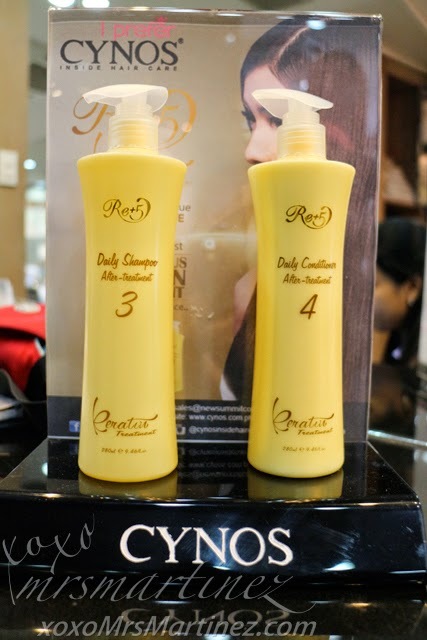 It deeply revitalizes and stabilizes Keratin nutrients on hair making it smooth and lustrous in shine. Here's an after photo... I love it! My hair is so soft. 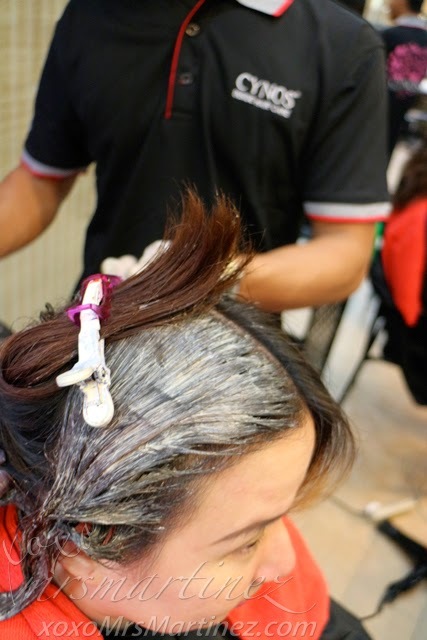 The strands were thicker to touch too, thanks to Revive Plus Keratin Treatment. 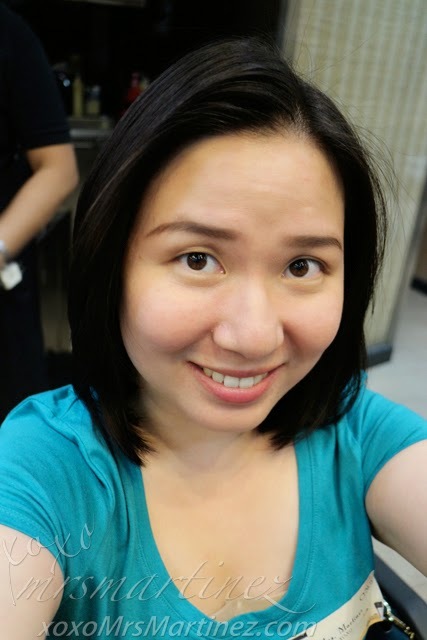 And look, no more bleached section on my hair... yey! The clothes were bought from my recent trip in Malaysia. Both items are very comfy and cool, perfect for summer! Aside from Re+5 Daily Shampoo and Conditioner After Treatment , I also took home Silver Tree Argan Oil Shine & Shield Spray and Morocco Argan Oil. Plus, a goodie bag from King Sue! Its unique formulation and smoothing agents revitalizes hair while cleansing, renews strength and smooths hair. With daily us, hair is vibrantly nourished and healthy. Delivers superior conditioning and ibrant shine on hair after Keratin treatment regimen. Its special formulation infuses moisture and enriches hair nutrients on every hair shaft making it healthy, smooth and shiny. 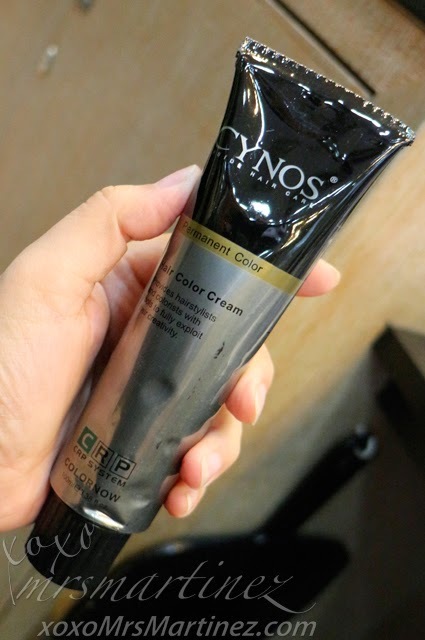 Its lightweight formula coats the hair's cuticle for that radiant shine. Protects againsts UV and other harmful chemicals and prevents hair static. 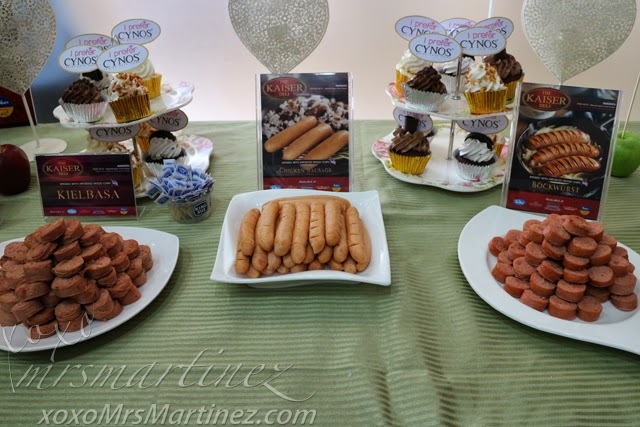 Last two photos were grabbed from Cynos Facebook page. I love my hair right now. It is dark, soft and shiny. Thanks Cynos!